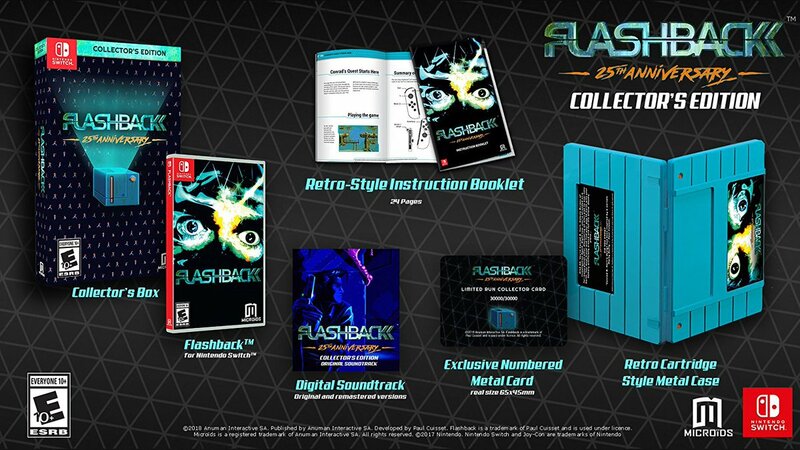 When Microids properly announced Flashback 25th Anniversary a couple of months ago, it was accompanied by some news about a collector’s edition. The thing is, there were only plans to release it in Europe and Australia. It appears that the situation has changed since then. Amazon is now taking pre-orders for the Flashback 25th Anniversary Collector’s Edition, indicating that it will be available stateside. The Flashback 25th Anniversary Collector’s Edition includes a physical copy of the game, retro cartridge-style metal case, exclusive numbered metal card, instruction booklets, soundtrack, and exclusive collector’s box.